Corporate Social Responsibility (CSR) is critical to the long-term trust Culturecom has built with the general public. Our Shareholders are vital, and so is our obligation to all stakeholders. Unite the comics industry and promote the comic culture. Strengthen the positive awareness of the community members on comics. Linked around the world comics industry. 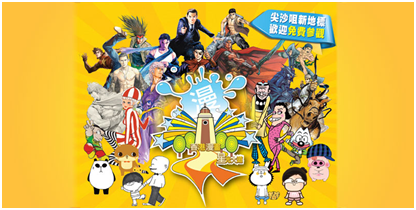 The Hong Kong government has encouraged the growth of the creative industry – allowing the comics industry in particular to become one of the key development schemes. Both courses are designed to provide professional training for those who possess strong aspirations to land a career within the comic, animation or game industry. The objective is so that students are not just able to use various techniques in their artwork but also demonstrating critical thinking and aesthetic illustrations within their comic creations. By combining these aspects it encourages young people to become conscious of their full potential. Upon completion of either course, a certificate of “Business Comics Profession” will be awarded. With students from across the globe enrolling each year, our mission to shape Hong Kong into a hub of creativity that has never been more gratifying. We believe in the best interest of the community to nurture and discover hidden talents amongst our students.